Spare parts for Samsung Navibot. Filters, brushes and rollers. Left side brush for Samsung Navibot. Lateral brush replacement compatible with Samsung Navibot robot. High quality, maximum strength. Right side brush for Samsung Navibot. Lateral brush replacement compatible with Samsung Navibot robot. High quality, maximum strength. HEPA filter for Samsung Navibot. 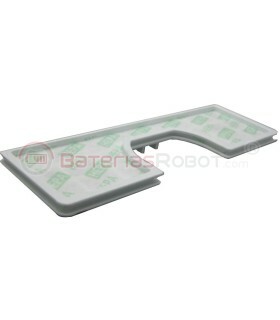 Replacement HEPA filter a 100% compatible with Samsung Navibot robot. Made with the best components.